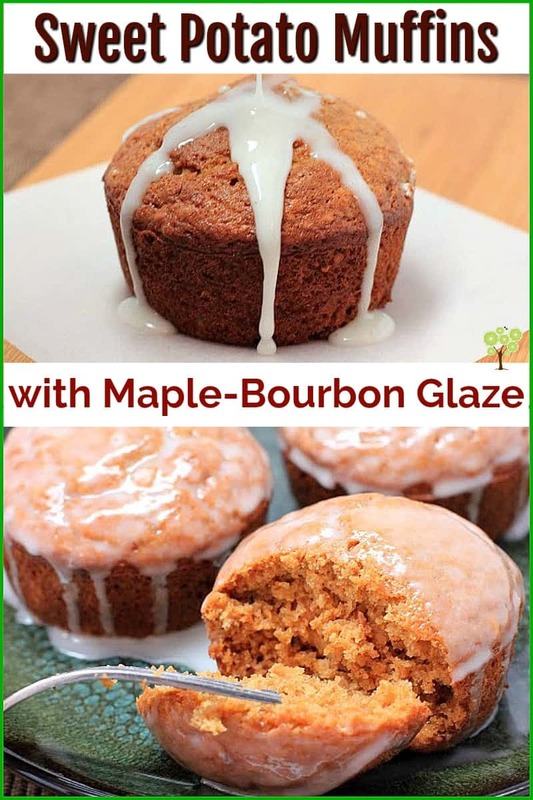 Sweet Potato Muffins with Maple-Bourbon Glaze are gently spiced, perfectly moist, and wonderfully different with a sweet glaze that is to die for. I am absolutely in love with this muffin. It is just so TASTY! 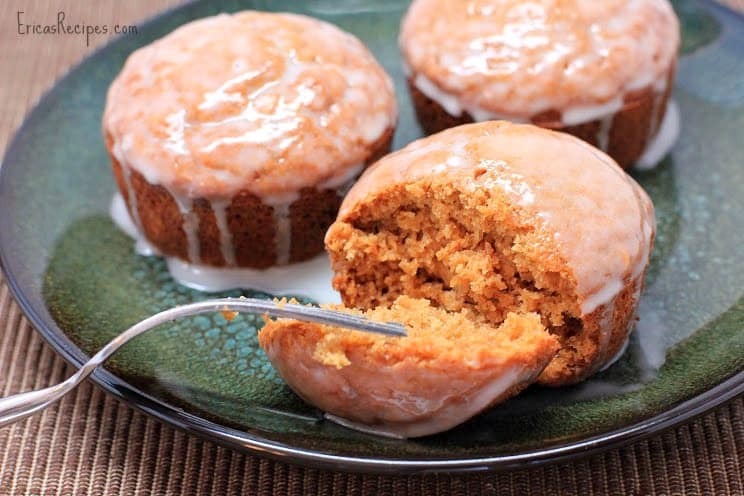 This is a perfect fall treat when you want a break from everything pumpkin. Heat oven to 400. 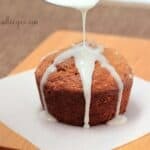 Coat a 12 muffin tin with cooking spray or paper liners. In a medium bowl, whisk together the flour, baking soda, and salt. In a large bowl, whisk together sugar, molasses, oil, eggs, soured milk, spices, sweet potato, and vanilla until combined. Stir in the flour mixture just until combined (this is important because if it’s overmixed, they won’t come out fluffy). Pour batter into muffin tins, filling each ~1/2 full. Bake 20 minutes. Cool completely. In a small bowl, whisk together the powdered sugar, milk, maple syrup, and bourbon. Spoon the glaze over the cooled muffins or take each muffin, invert, and dip the tops into the glaze. Yields: 12 muffins. 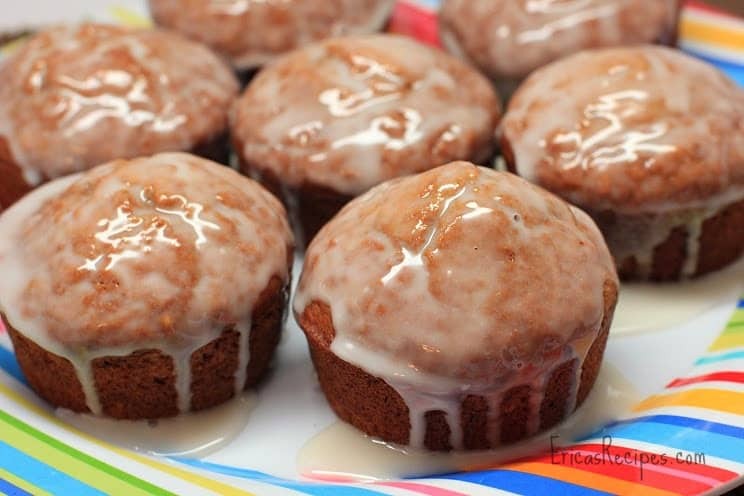 Once the glaze in on the muffins, don't wrap in plastic wrap. 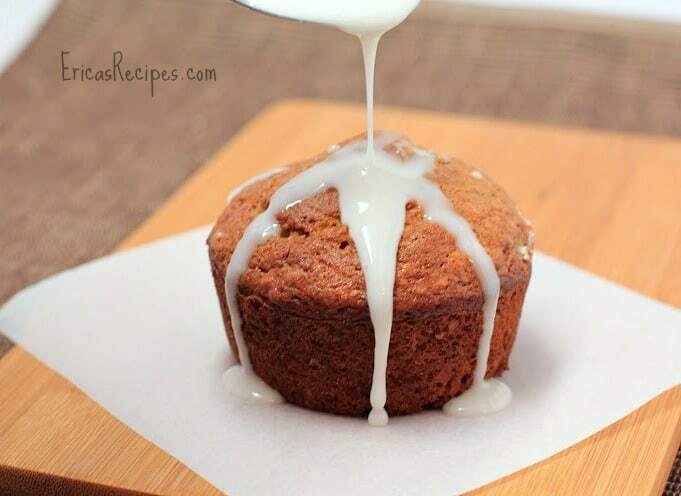 The trapped moisture from the muffins will cause the glaze to get too wet and dissolve off. I made these muffins and they were extremely nice. For the glaze I used Baileys Irish Cream. I didn’t have any Bourbon at hand. 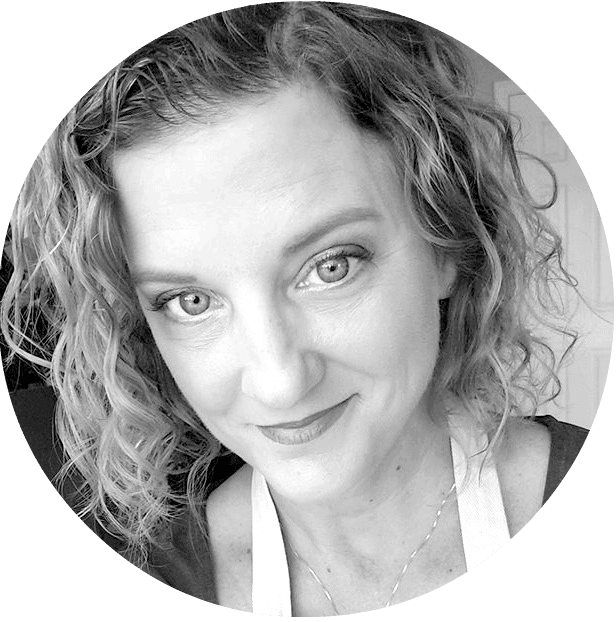 I enjoyed making and eating them, and I would make them over and over again. Thanks for the wonderful recipe. Wish you a wonderful week! This is such a great idea! It is a rainy day here and I was thinking of doing some baking. I have some little sweet potatoes in my pantry that might like to become muffins. 🙂 I imagine these make your house smell wonderful. Thanks for the inspiration!